Gracias a la pagina web www.COROI.CO.cc este pueblo al fin tiene la informacion que merece en el internet. Los turistas potenciales puedan informarse sobre restaurantes, hoteles, atractivos, excursiones y historia en esta pagina, con la ayuda de textos, fotos, videos, mapas y descripciones de ruta. 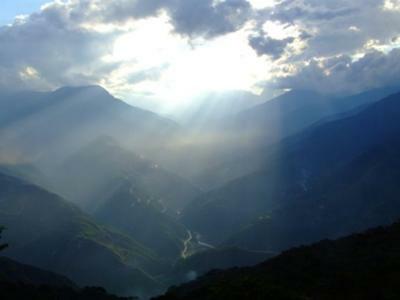 Please check out this website if you plan a visit to Coroico in the Yungas. It's in both English and Spanish and is BEAUTIFUL and very informative. You'll find information on restaurants, hotels, tourist attractions, excursions and history, photos and videos, maps and route descriptions. I especially recommend visitors get up very early in the morning when the air is cool to take in the smell of fruit and jungle moisture that hangs in the air. You'll get another special treat at this hour too - a concert of birds, bugs and maybe even monkeys. The sounds at this hour are beautiful and the mosquitoes are still sleeping! I'm happy to share this with Bella visitors. Send us more information ANY TIME YOU WANT!!! BELLA.